So you have opened a webpage with loads of images that should be copied. Now begins the tiring process of manually copying and saving each image on a webpage. Hang on -Â there is better, faster and easier way to do so using ‘Save Images’ Firefox extension. Using this, you can download and save all images on a webpage with simple right click procedure. There are number of configuration options like image size, dimension and type. You can also configure location of folder where images should be saved. Very handy add-on if you love downloading lots of images in no time. 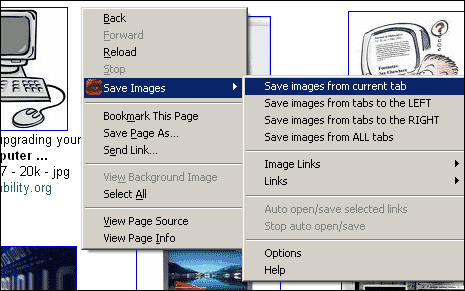 Download Save Images for your Firefox browser and download and saveÂ images on the fly.